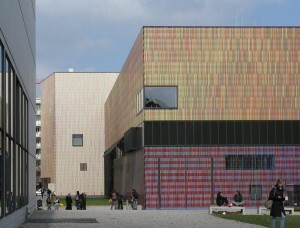 I then went to the Brandhorst Museum to see their collection of Andy Warhols, Sigmar Polkes and Cy Twomblys et al. 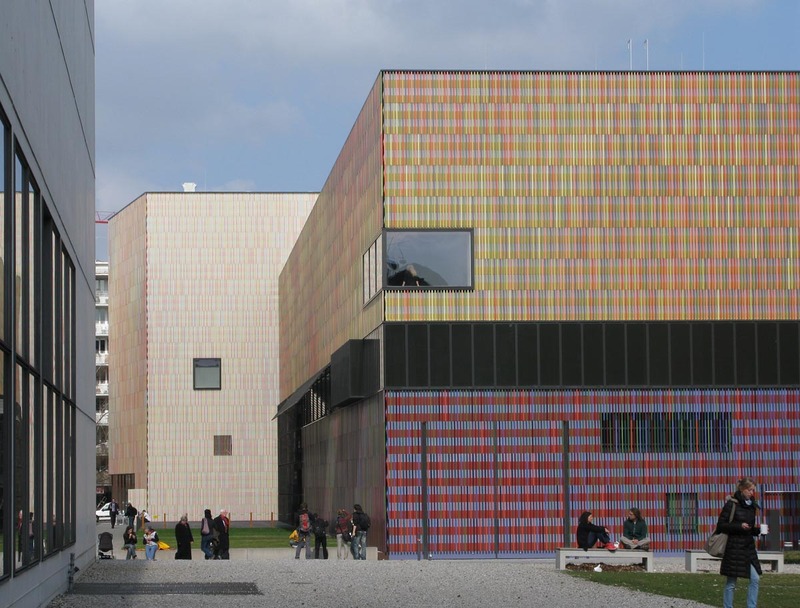 The building is gorgeous and was designed especially for the collection, inside all three floors are lit almost exclusively by natural light using clever reflecting systems so it uses less electricity. 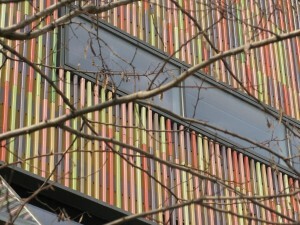 Even the lower ground was lit by light coming in through grilles at ground level that passers by were walking on above. 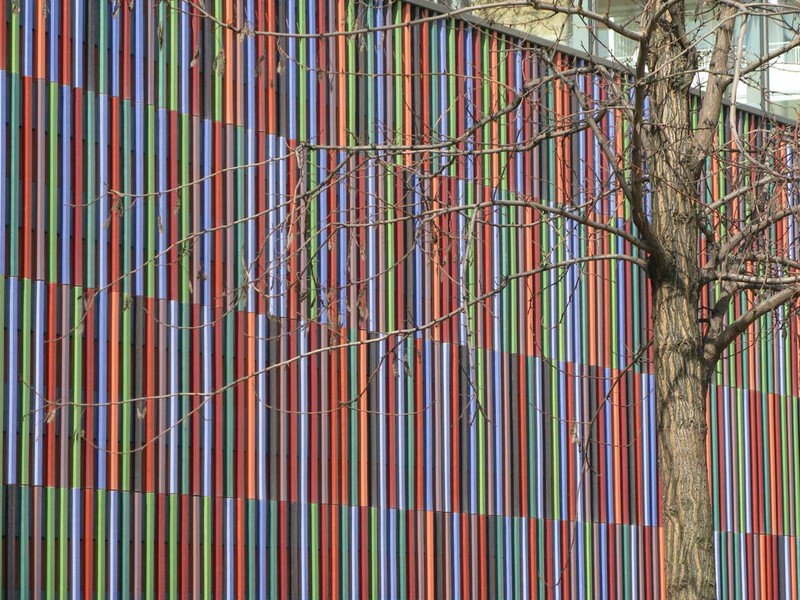 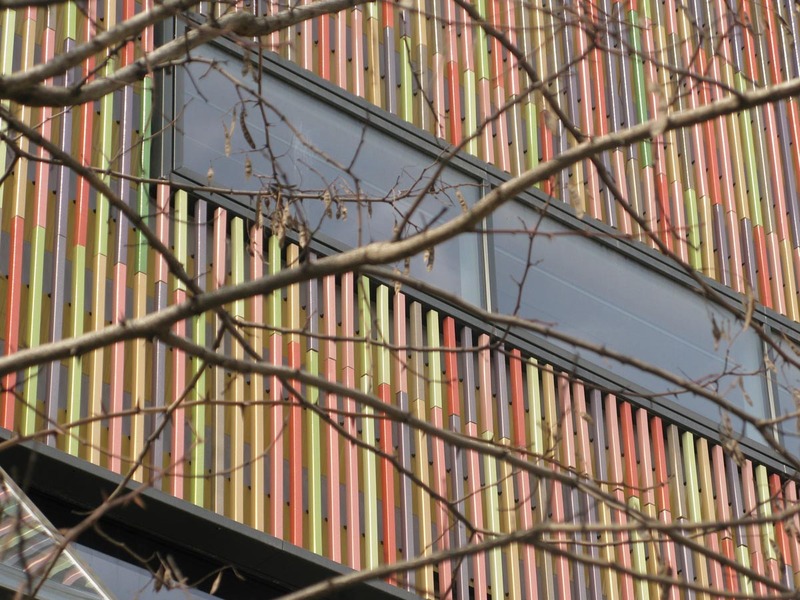 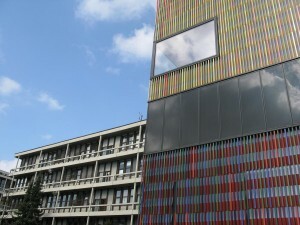 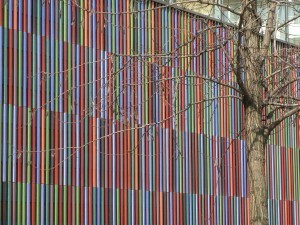 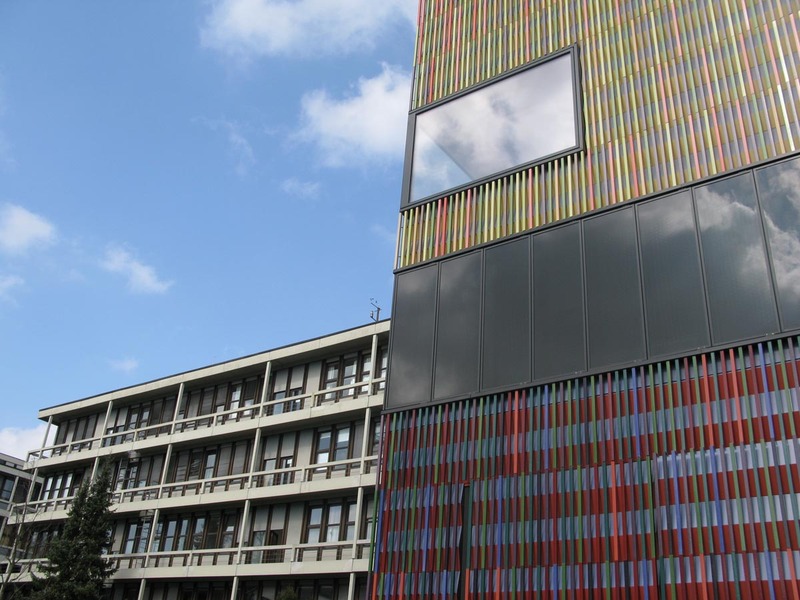 The building is covered in multicoloured glazed ceramic tubes. 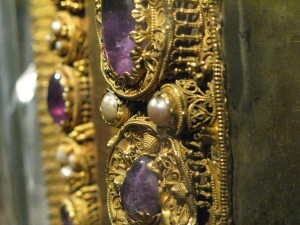 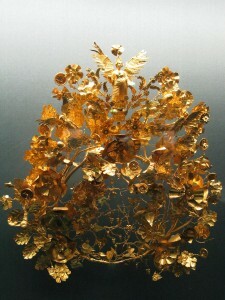 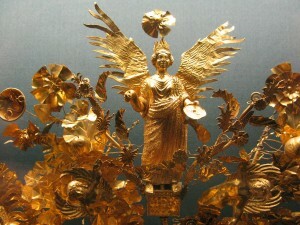 I also saw the State Treasury (Schatzkammer) Museum of the Residenz Palace. 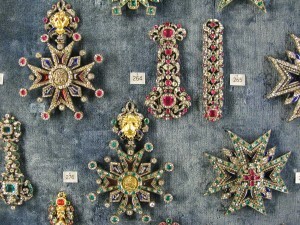 The Munich Residenz is the former palace of the Bavarian monarchs. 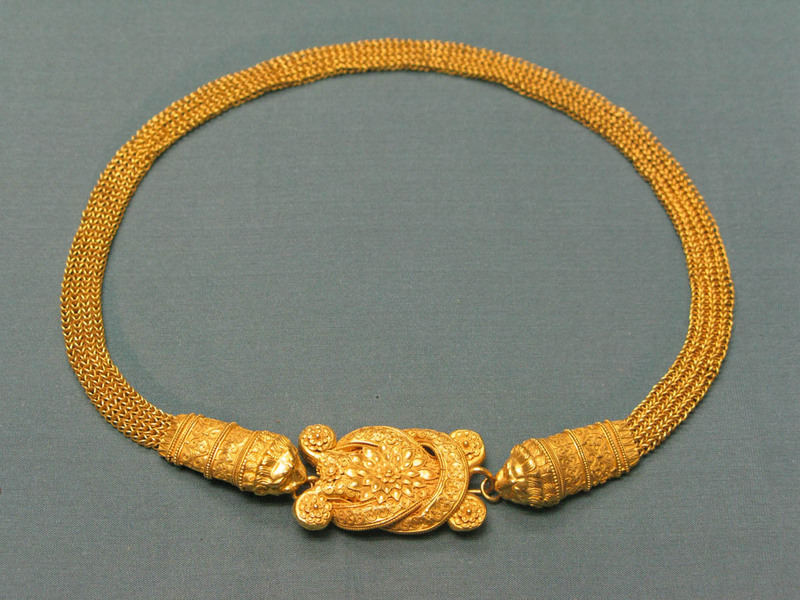 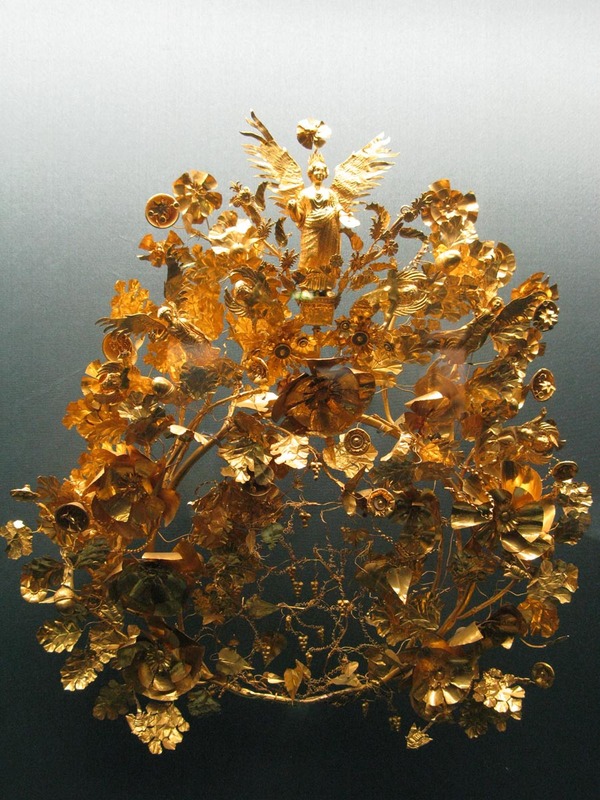 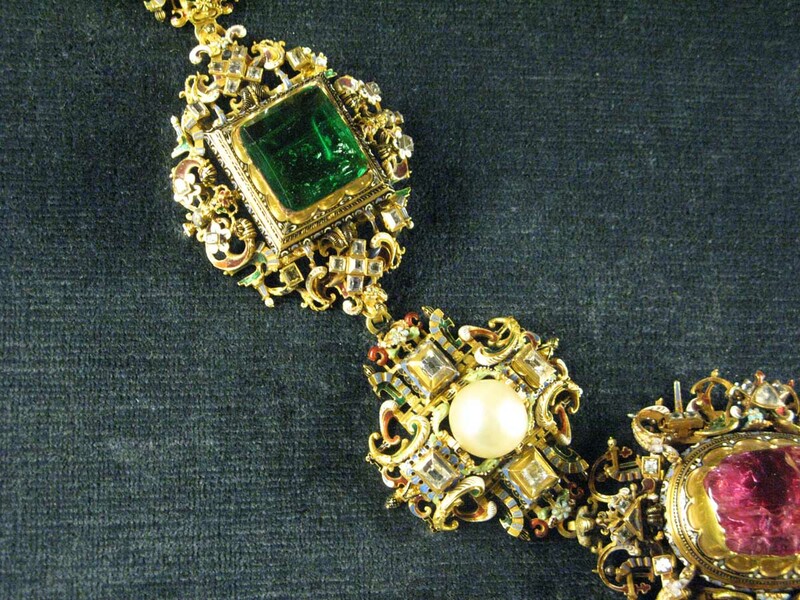 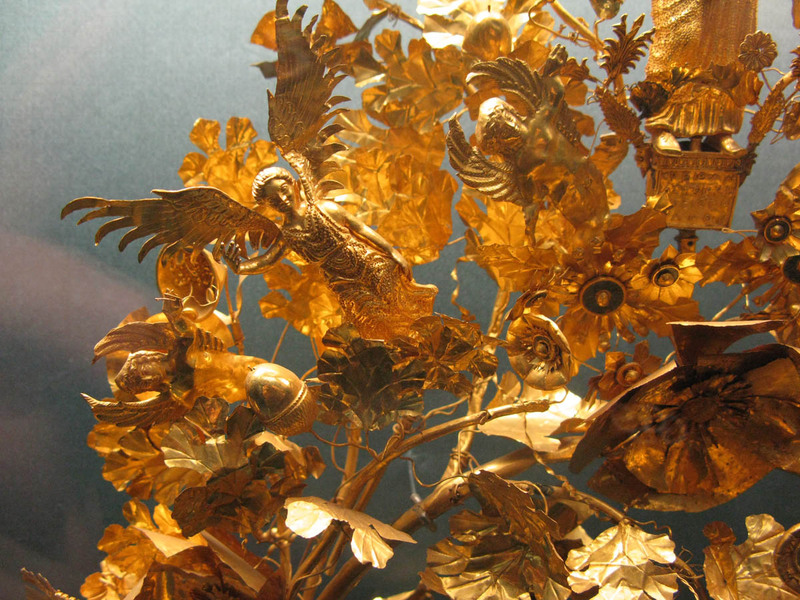 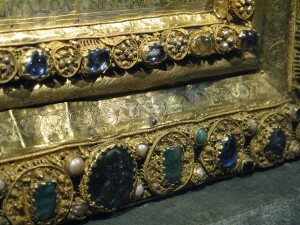 So the treasury is, as you can imagine, the treasures owned by the Bavarian state that have been collected over the years by former kings & queens. 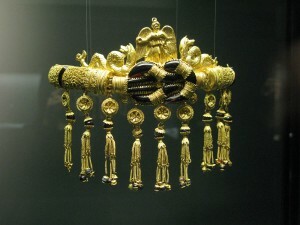 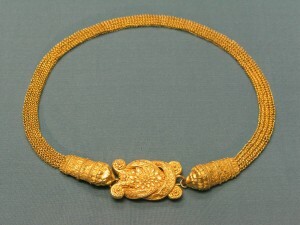 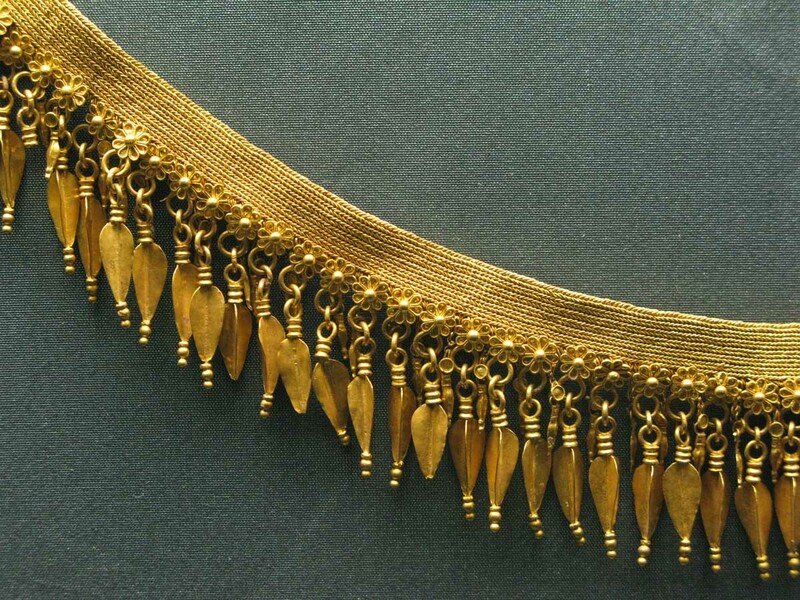 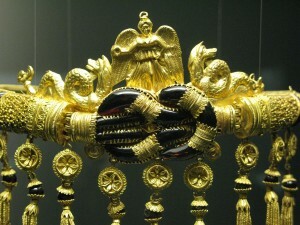 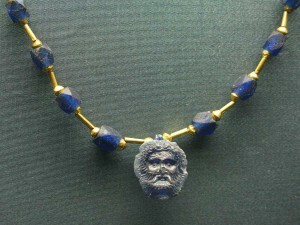 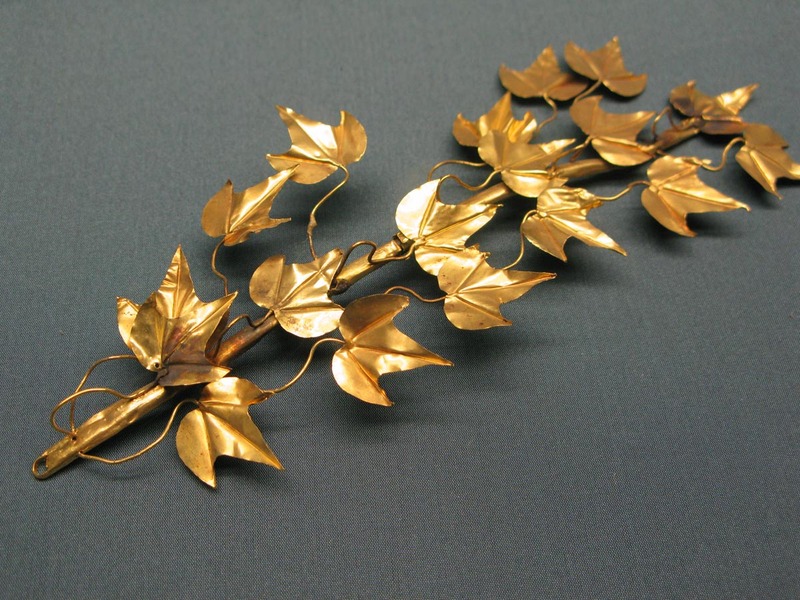 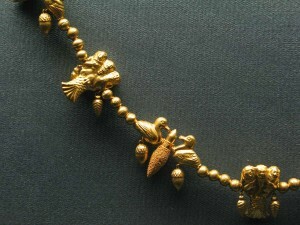 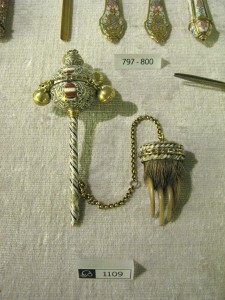 There are items dating back to AD 900. 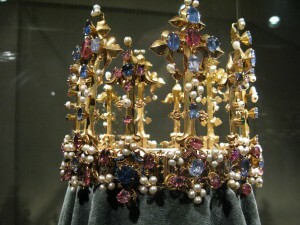 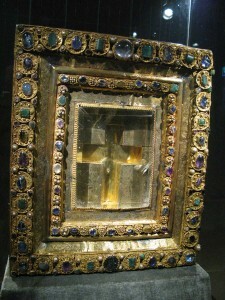 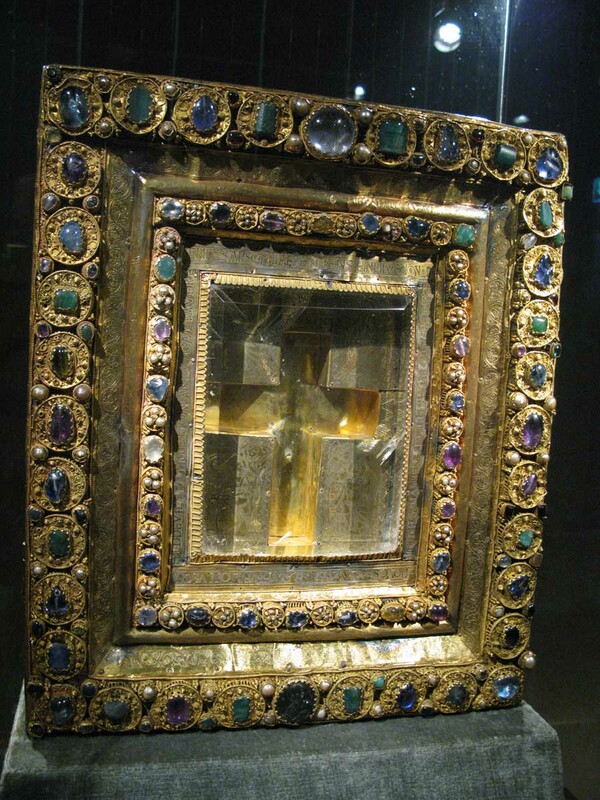 There are relinquaries (special containers for relics of the true cross and other saints), crowns, weapons, cutlery, silverware, jewellery, insignia, and various objets d’art. 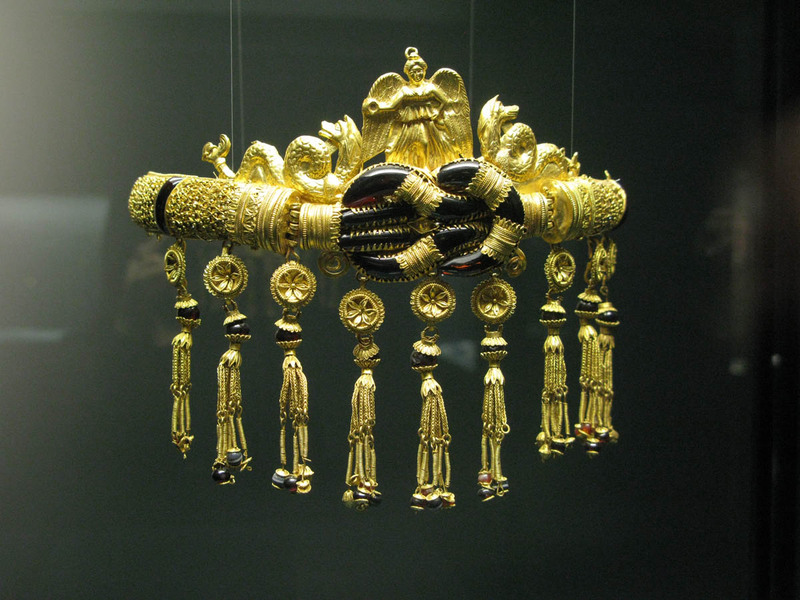 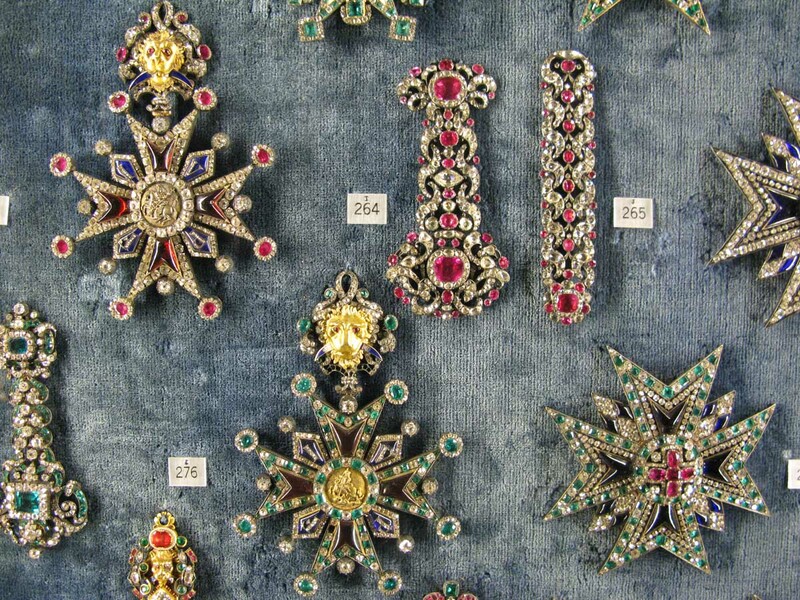 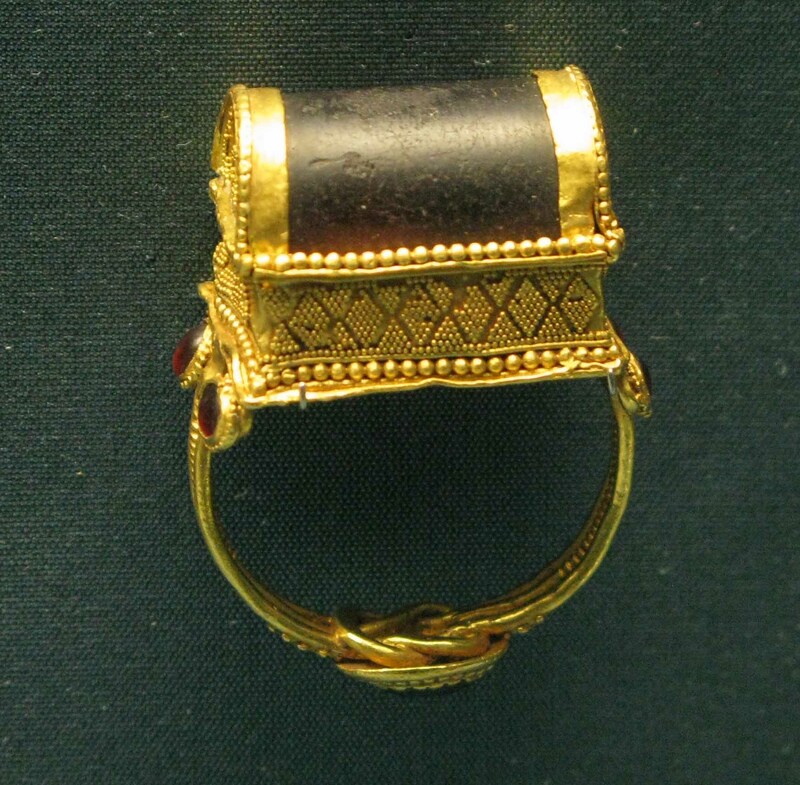 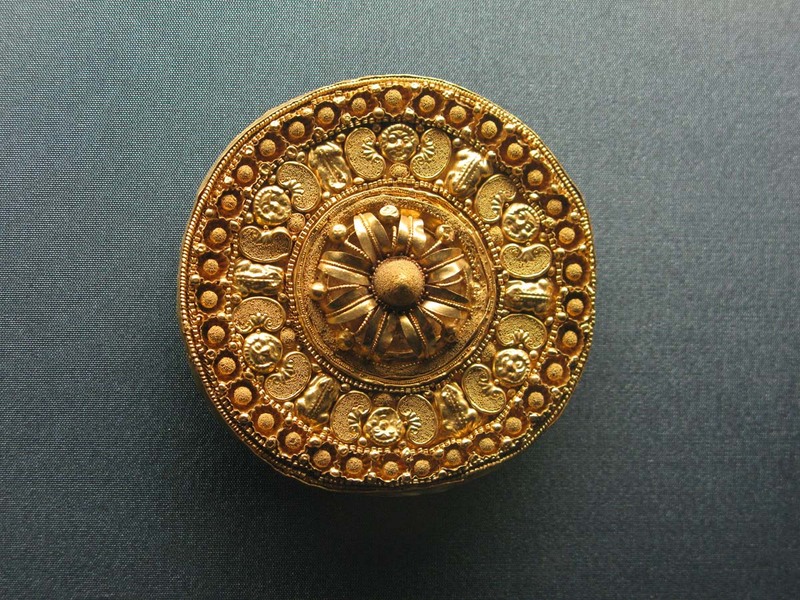 The crowns and relinquaries from around 1000AD were great for their complex gallery bezel settings, and also the jewellery and insignia, because … hello, would you like diamonds with that? They were all real. 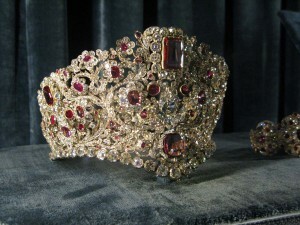 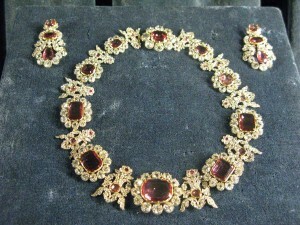 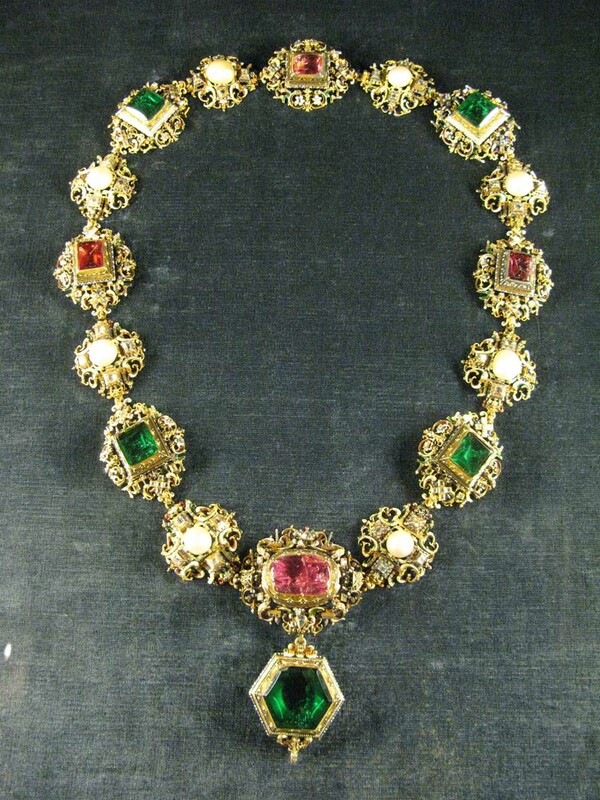 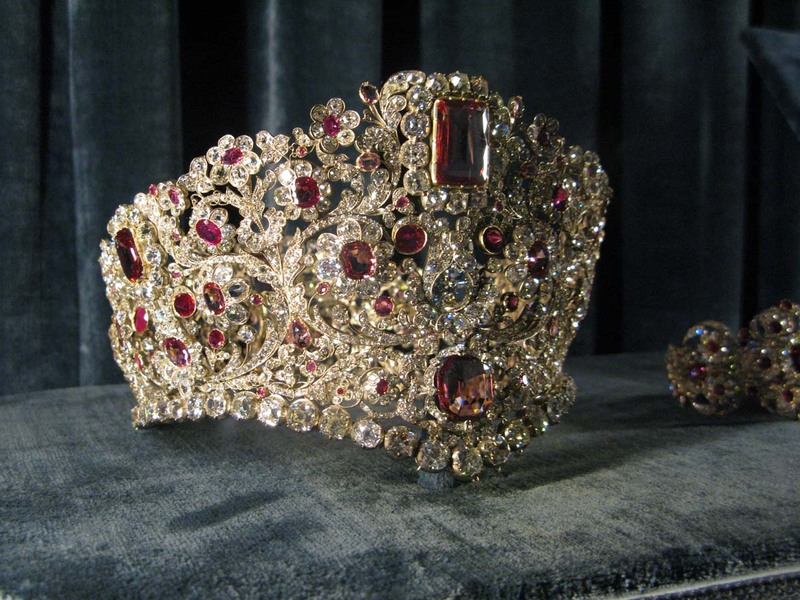 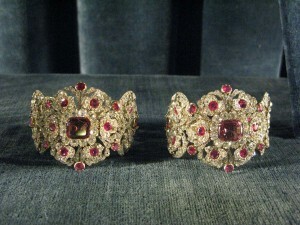 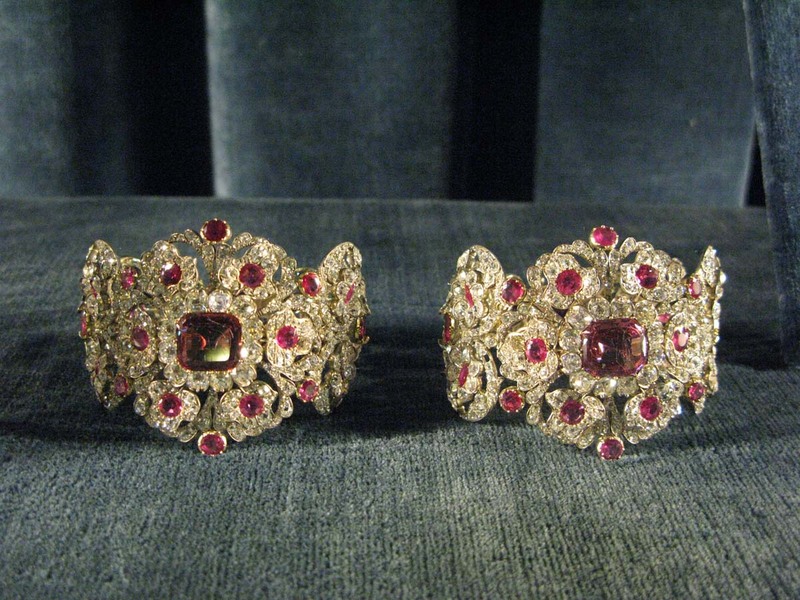 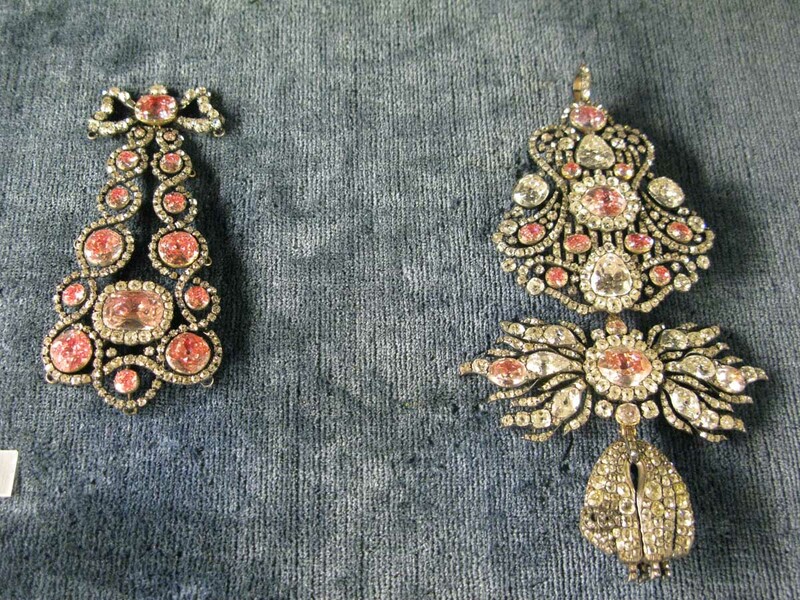 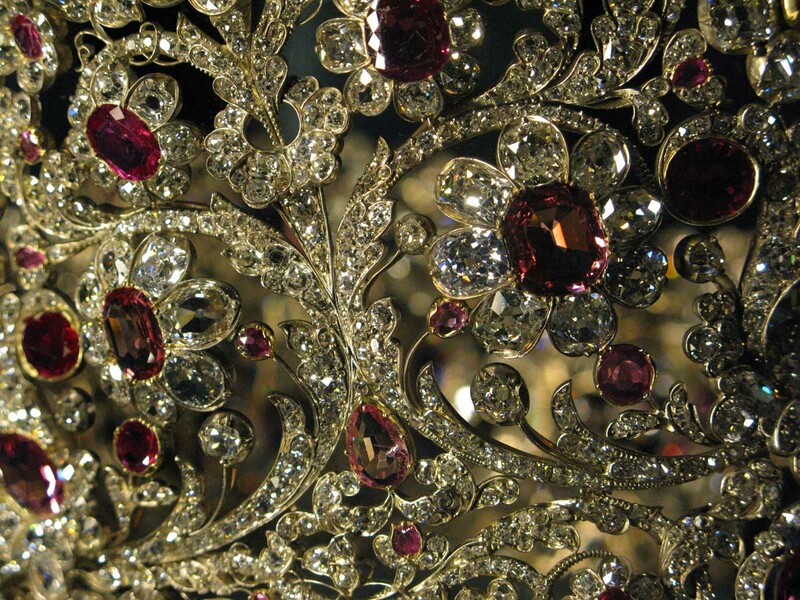 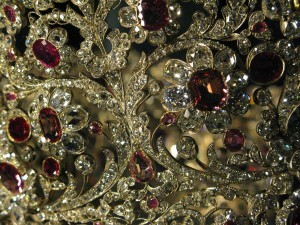 Ruby and diamond tiara, bracelets, necklace, earrings of Queen Therese of Bavaria 1830. 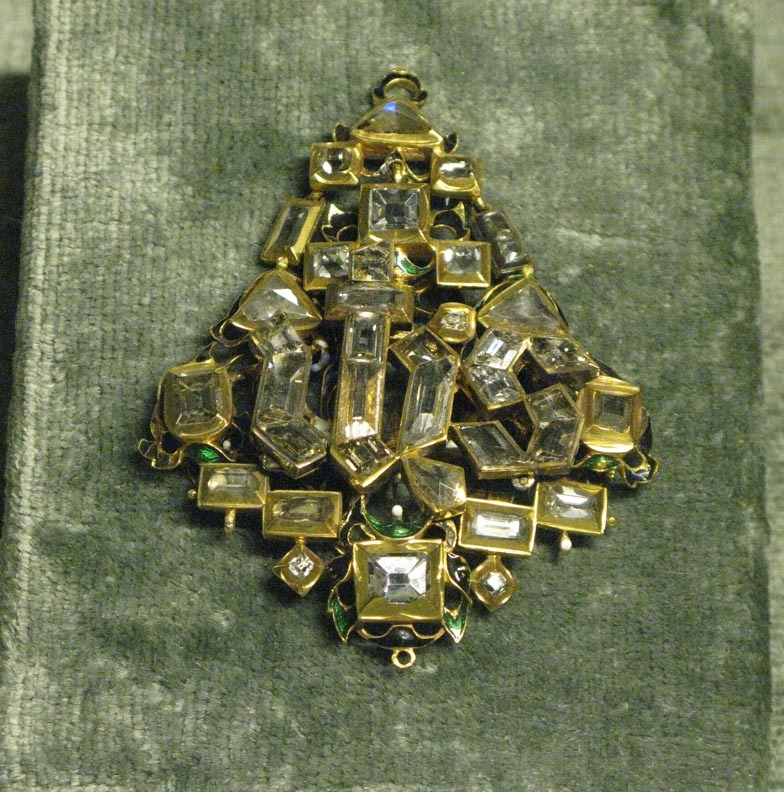 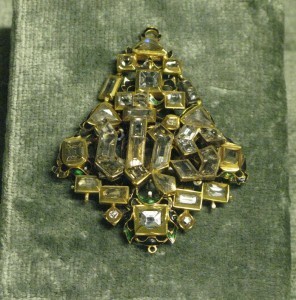 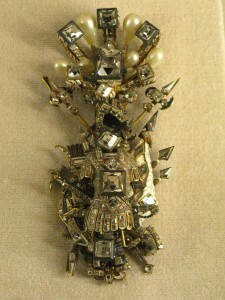 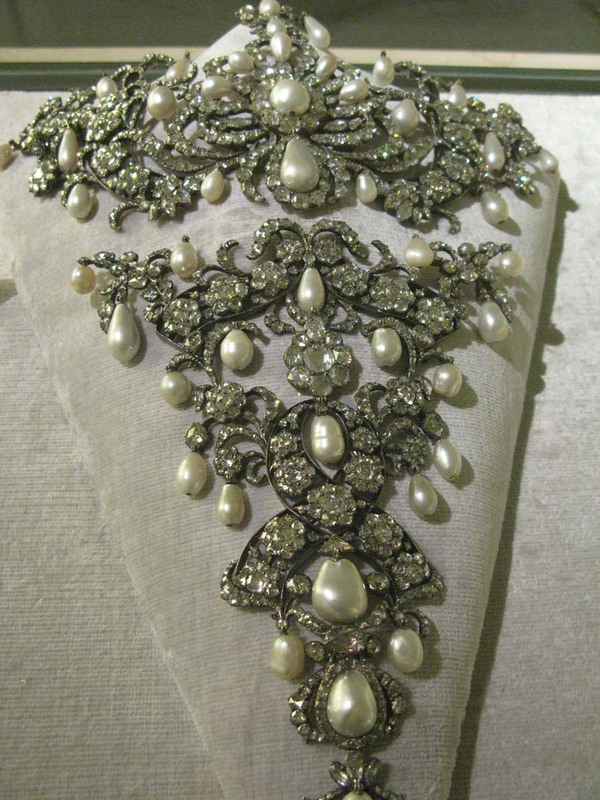 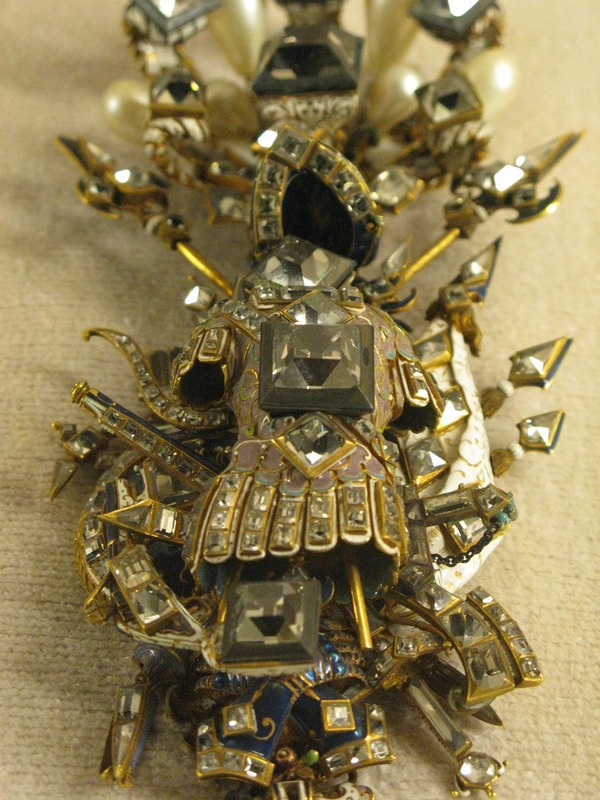 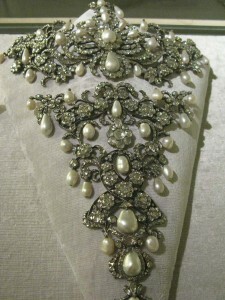 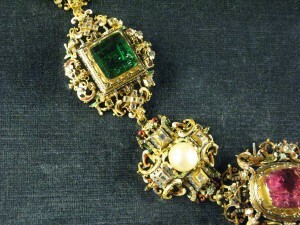 Diamond pendant c. 1550, note the early cuts of the stones. 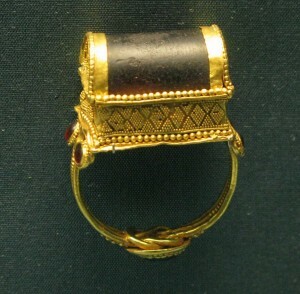 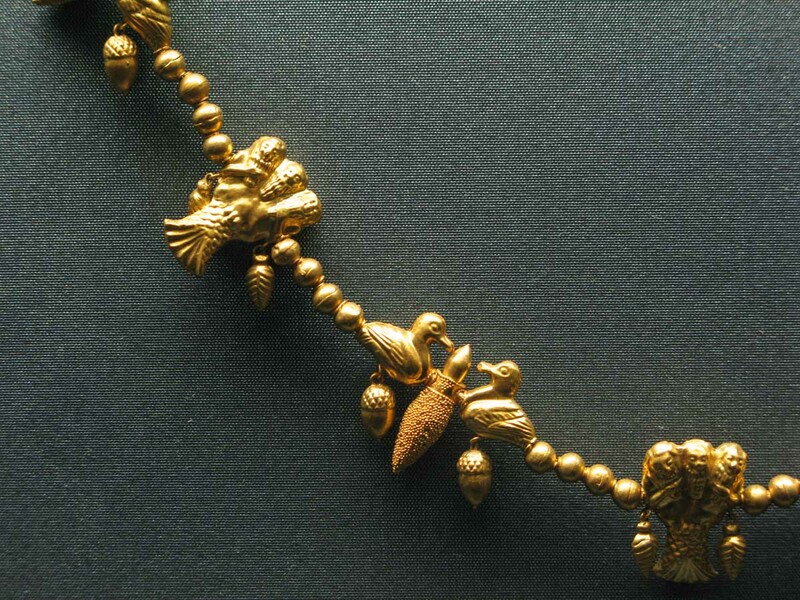 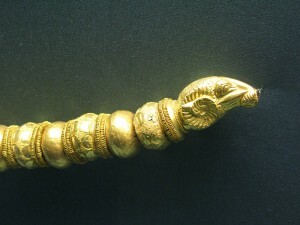 Gold and enamel child’s rattle with badger’s claw to ward against misfortune. 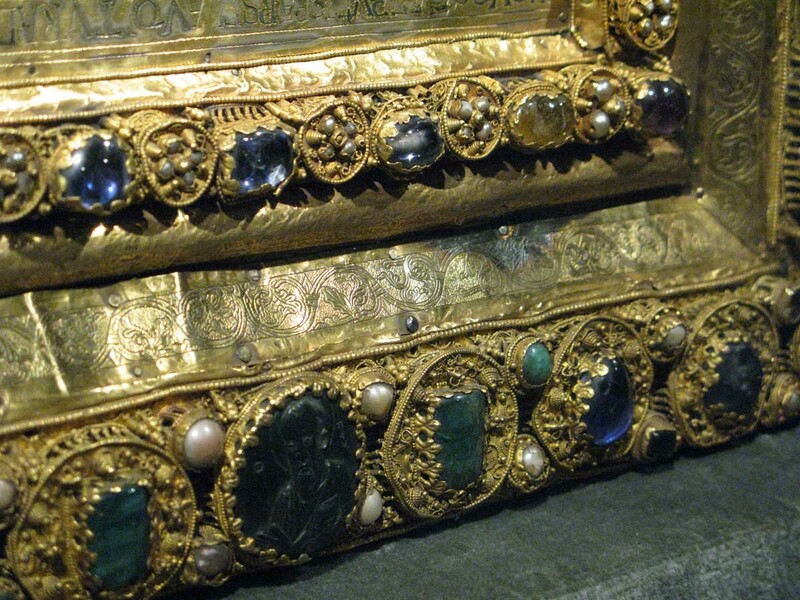 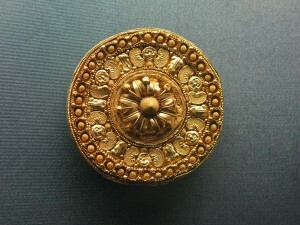 It belonged to the son of Elector Max Emanuel, but did not protect him from dying at the age of 7. 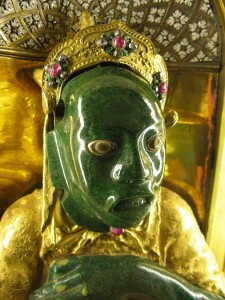 Jade Olmec figure set into gold objet d’art.